Notice there are only three apps displayed with an option to look for more apps with the down arrow. From personal experience, I can tell you that most Google searchers are not going to click the down arrow. They are going to select one of the three apps displayed on the front page of Google search. What is also interesting is the fact that all three of these apps are free. I am not a mobile power user so I rarely, if ever, purchase apps. In fact, I have not purchased an app in well over six months. I would imagine I am not unique in this type of mobile usage. Over the next few weeks I will continue to look at different search results for mobile apps. Is it more common for free apps or paid apps to show up? What triggers the app graph in Google search? There are hundreds of questions that can be asked about this particular subject matter. In terms of SEO I have already been asked if having an app helps with SEO. Does having an app mean your website will ranking higher in Google search? All things being considered, having a mobile app does not mean you will outrank your competition. That said, having an app will also allow you to get links from both Apple and Google which is extremely valuable. When publishing your app to Google Play and the Apple App Store make 100% certain you put the link to your company website. These are links that are extremely important in terms of telling Google you are a valuable business and resource to search visitors. In the next few months I think we will see more and more apps displayed on the front page of Google search. Some have even seen these apps on the front page of desktop search. As millions of MacBook and Chromebook users complete Google searches there will be an adjustment in how apps are displayed. 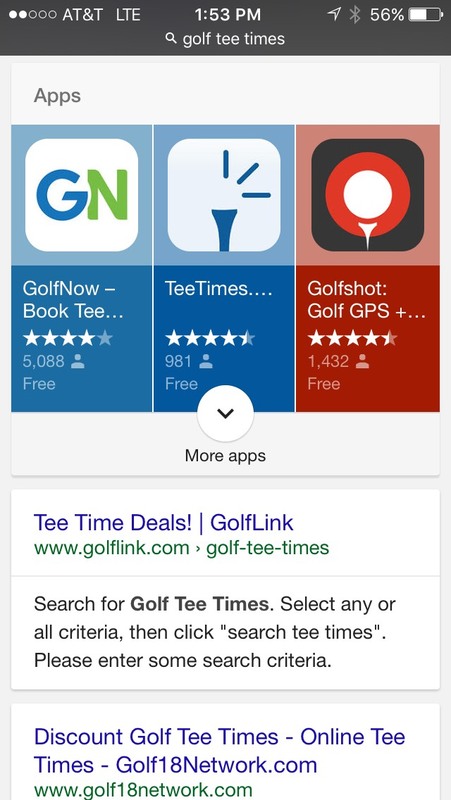 Prior to 2013 one would almost never see an app ranking in Google search. By the end of 2016 there is a good chance we will see one or two apps on the front page of most Google searches that are completed on a mobile phone. If you are thinking about spending money to build a mobile app reach out to me at jesse@wojdylosocialmedia.com and I can explain how this can help or hurt with your SEO. I can also offer guidance and consulting on how to properly distribute this app. There are hundreds of websites that will be more than happy to allow you to write a guest post about your app and this is a wonderful outreach opportunity to get more links pointing to your website. If you have any questions related to Google search, mobile apps and/or SEO do not hesitate to reach out to me today.